Approximately 74km from Cape Town International Airport and 45minutes from the heart of Cape Town, Mont Rochelle is easily accessible. Set on hills above the historic village of Franschhoek, the luxurious hotel Mont Rochelle poses an ideal place to explore the Winelands, with sweeping views of the vineyards and mountains. 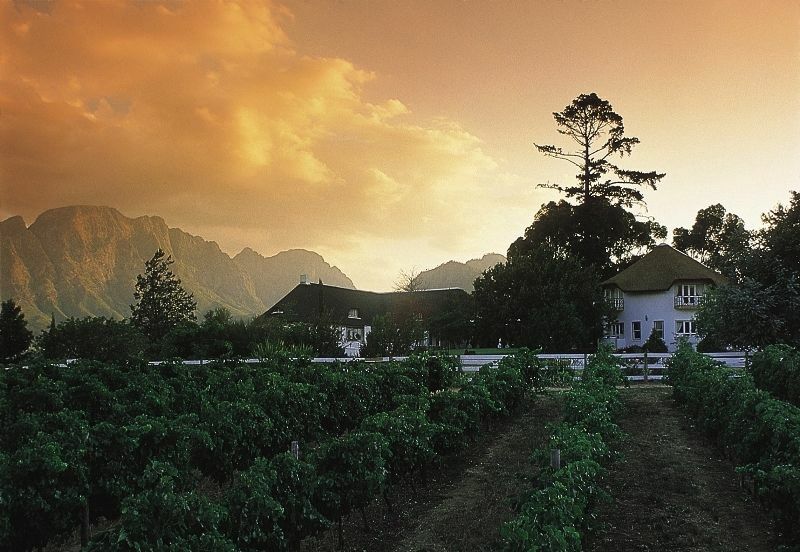 Franschhoek village offers visitors a true insight to the local culture, with an assortment of bistros, galleries, antique shops, chocolatiers and interior décor. Mont Rochelle Hotel constitutes 22 rooms, including six suites. All rooms offer breath-taking views of the mountains, vineyards and the Franschhoek Valley, with ground-floor bedrooms including French doors that lead to the outdoor gardens. Rooms vary in size, with the Shiraz and Merlot being the smallest, however all rooms boast king-size beds, air conditioning, extra beds, complimentary mini bars and TV, DVD and WiFi access. Families or guests seeking extra space are recommended the Pinotage Suites, with separate sitting rooms and a sofa-bed, or those after the upmost in luxury, the top-end Cap Classique Suites have private plunge pools. The hotel’s gourmet restaurant, Miko, known as one of the best in the area, is popular amongst foodies for the lunch and dinner a la carte menu: serving a blend of international dishes combined with South African cuisine. An informal dining experience is offered by The Country Kitchen offering a variety of dishes with a Mediterranean influence, ranging from Italian platters to steak, and the catch of the day. Picnic baskets can also be arranged, along with the option of room service and the town of Franschhoek overflows with restaurants for those wanting a change of scenery. For guests wanting to relax, Mont Rochelle offers fabulous views amongst the heated pool or the banks of the trout dam and a spa featuring a hammam for those in need of pampering. Vineyard trails and cellar tours can be arranged by Mont Rochelle’s own winemaker, alongside hiking, horse riding and mountain biking facilities nearby.